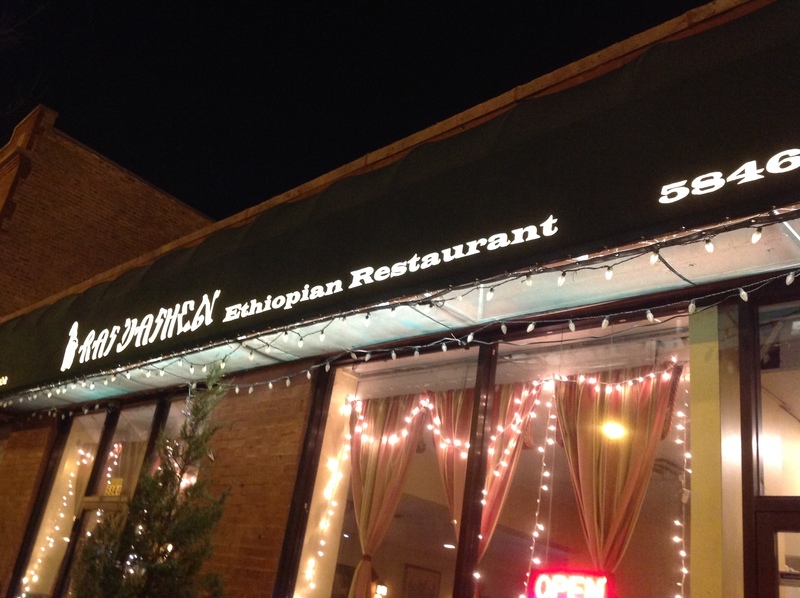 Ras Dashen is located at 5846 N Broadway St. Ras Dashen is an Ethiopian Restaurant. I had family visiting so we went here for fun. 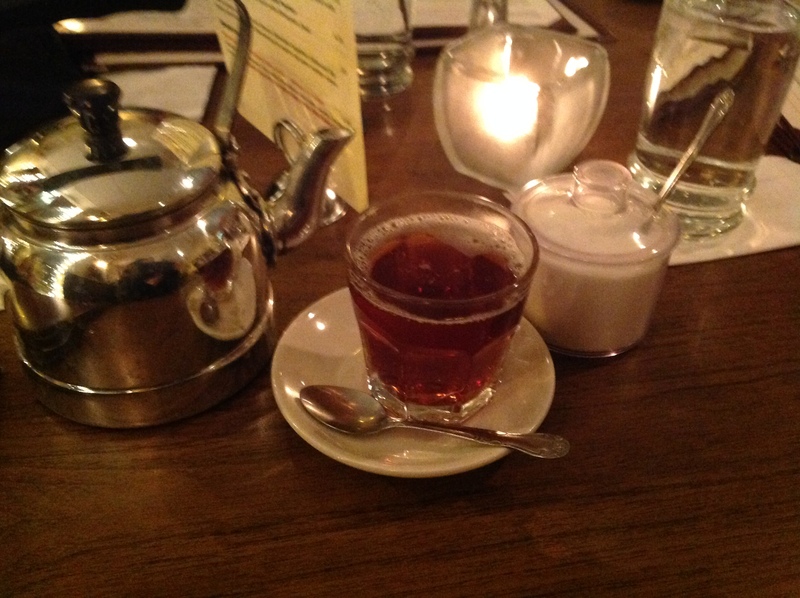 I had the ethio chai. It didn’t help much with the spices from the food, but it was enjoyable. We started off ordering Qategna as an appetizer. 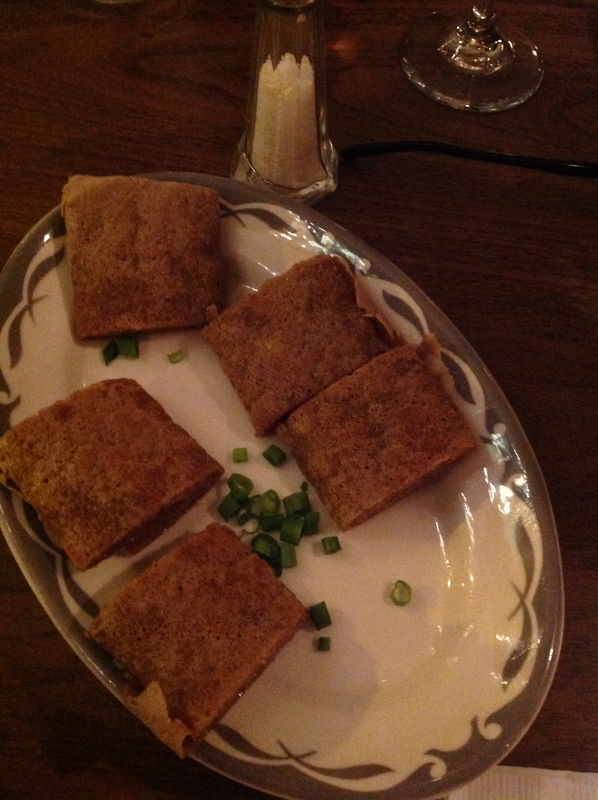 Qategna is made with Injera (bread) with kibe (butter with spices) karya (a spicy pepper) and garlic. I didn’t realize that karya was so spicy or a pepper and after popping one into my mouth I instantly regretted it. 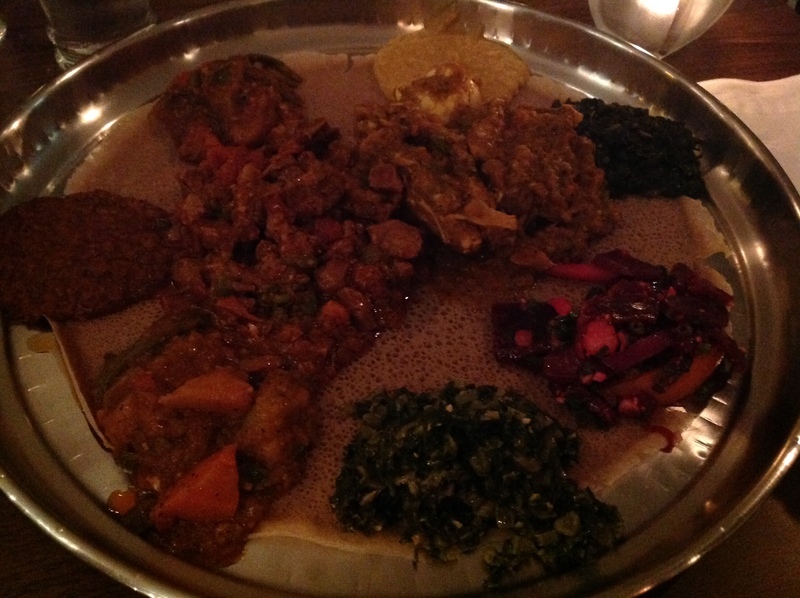 A traditional meal is served on a large piece Injera, which is spongy and has a sour taste. My aunt loved it, my uncle and I were not fans. Ras Dashen suggests each person picks an entree and then pick one side. Most of the entrees and sides are stew like. I picked the Doro Alicha which was chicken and a hard boiled egg with a mild sauce. My uncle picked the Awaze tips with lamb which comes in a spicy sauce. My aunt picked the vegetarian sampler. The vegetarian sampler comes with five sides. We ended up with a lot of sides, the one I enjoyed the most was the Diblik Atkilt, that our waiter suggested. It’s green beans, potatoes, zucchini and carrots stewed with tomatoes. We were brought a basket filled with injera and we used it to scoop up the food to eat. It was incredibly messy. The meat parts of our entrees included bone which made it hard to get at the meat. We ended up eating with our fingers. It was a lot of fun and we ate a ton. It was an enjoyable experinece. I suggest going with a couple people or ordering a few entrees, including the vegetarian sampler because you get the five extra sides if you want them. If you have any questions the servers are super helpful and give good suggestions.